From their workshop in Chester, Matthew Bascetta and his small team have rapidly developed a reputation for producing some of the most wonderful aftermarket guitar pickups around, and over the last few years we’ve been consistently blown away by the build, vintage fidelity and simply stunning sound of House Of Tone’s pickups, whether they be humbuckers or single-coils. One of the most interesting new pickup sets in House Of Tone range is the Texas Tea T-Set. 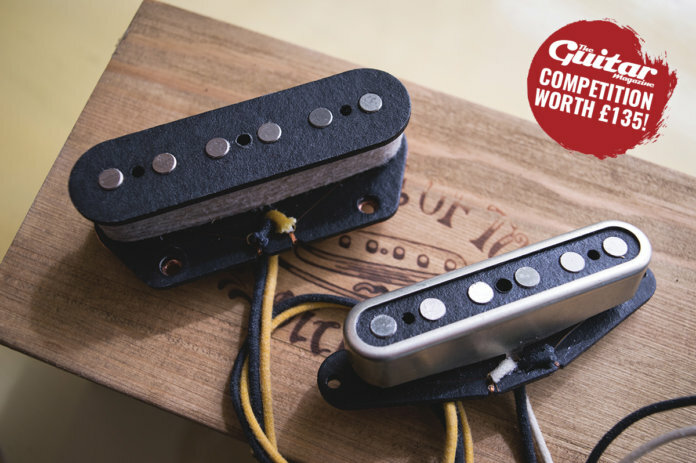 And thanks to House Of Tone, we’re giving one lucky reader the chance to win a set of these hand-wound 50s-inspired Tele pickups for themselves. The idea behind the Texas Tea T-Set comes from an unconfirmed rumour from the early days of Fender. The tale goes thusly – when the Strat was introduced in 1954, Fender wound the pickups with heavy formvar-insulated magnet wire, but there were reports that for a very brief period, some Telecaster pickups were also wound with formvar wire, before reverting to the usual enamel wire. Bascetta was intrigued by this rumour, and wondered how different the temporary wire swap would have sounded in practice. So, he set about creating pickups that were identical to regular 50s Tele spec but used formvar wire instead of enamel. The result is a fascinating pickup set that blends the sounds of vintage Tele and Strat pickups to create something that’s altogether a bit different, with a neck pickup that offers fantastic clarity and frequency range, and a bridge unit that’s woody, quacky and brilliantly balanced, without any shrillness or muddiness.